Managing Contraception | Everything you wanted to know about contraception, but were afraid to ask. Now in its 21st edition, this well-known text with more than 2 million copies in print is the leading family planning reference for over 30 years Completely NEW! 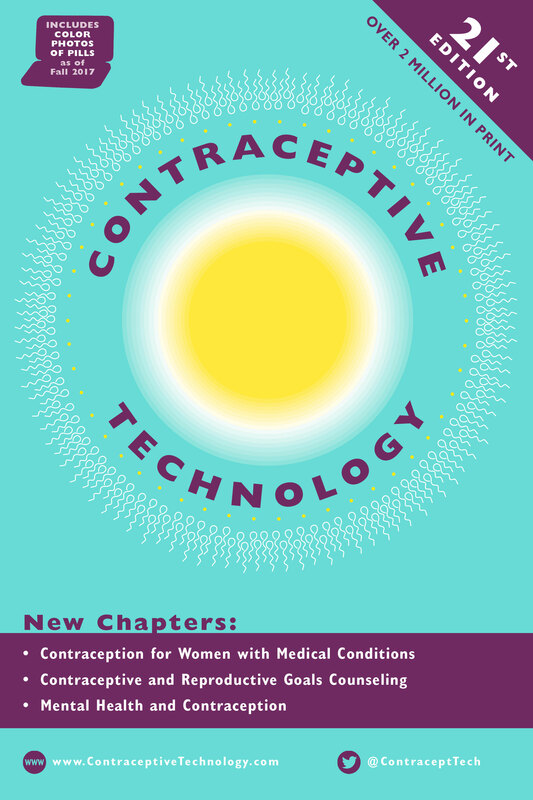 The NEW & UPDATED version of Managing Contraception is now available for purchase in our online store! SEXUAL ETIQUETTE 101 and MORE…………….takes on some of the most challenging topics for young people today. This 248 page book is filled with stories, handy resources, color photos, and valuable tools for teens, young adults, parents and educators too!!! Click to view order page. 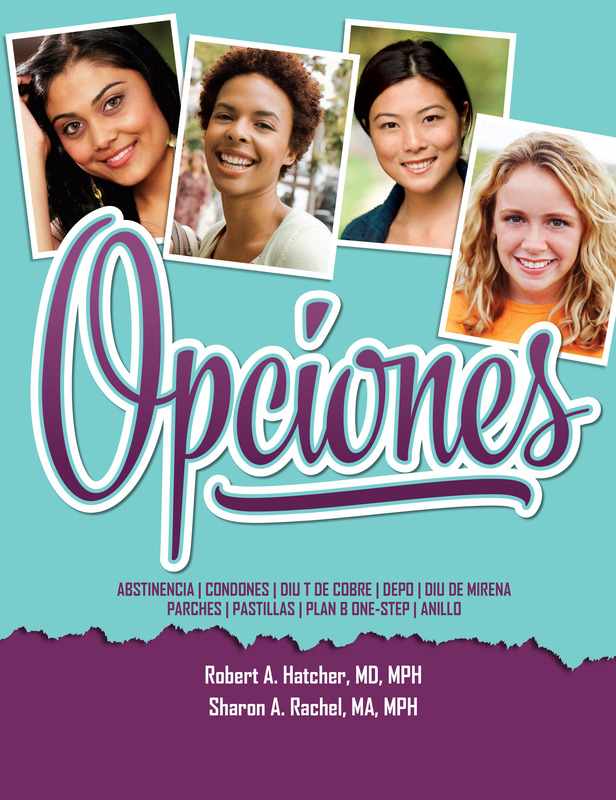 Contraceptive Options Poster - Newly Updated! All methods of CONTRACEPTION OPTIONS poster updated. Printed two sides and laminated with one side showing all the pills from the lowest to the highest dosage, plus photos of the other methods, including the NEXPLANON, COPPER T IUD, MIRENA, SKYLA, RING, IMPLANT, PATCH, SPONGUE, and CONDOMS. GREAT for the patient to show which pill she is taking if she can’t remember the name of the pill but will recognize the package. 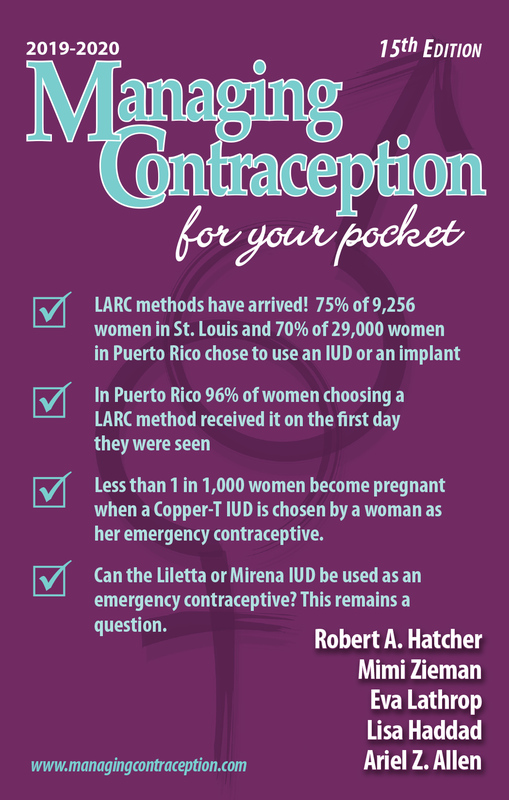 The other side features the LARC methods (Long Acting Reversible Contraceptive). It has an illustration of the uterus showing where contraception works and MUCH MORE! 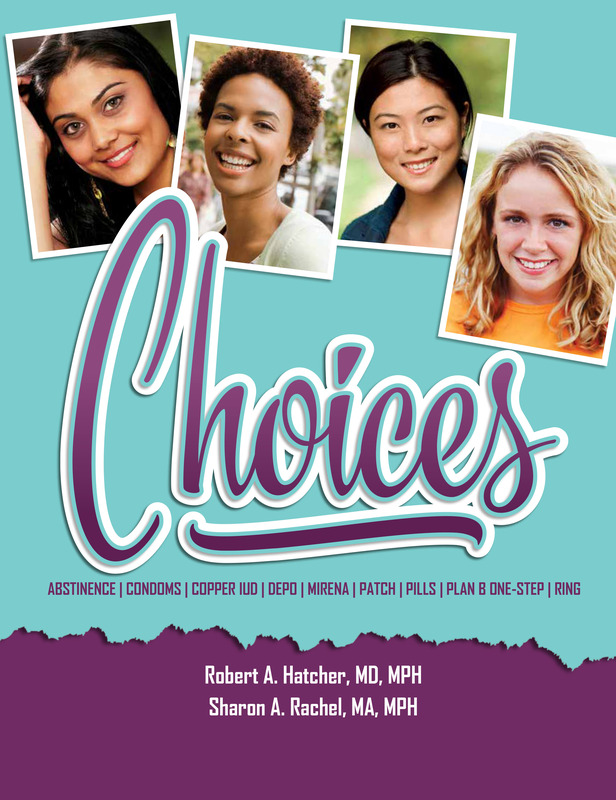 Choices includes 21 updated descriptions of contraceptives (birth control methods). In writing these descriptions, we have tried to be brief, giving the most important information only, including the advantages and disadvantages of each one. It is our desire that young people have a choice, including abstinence,when it comes to their sexual health. 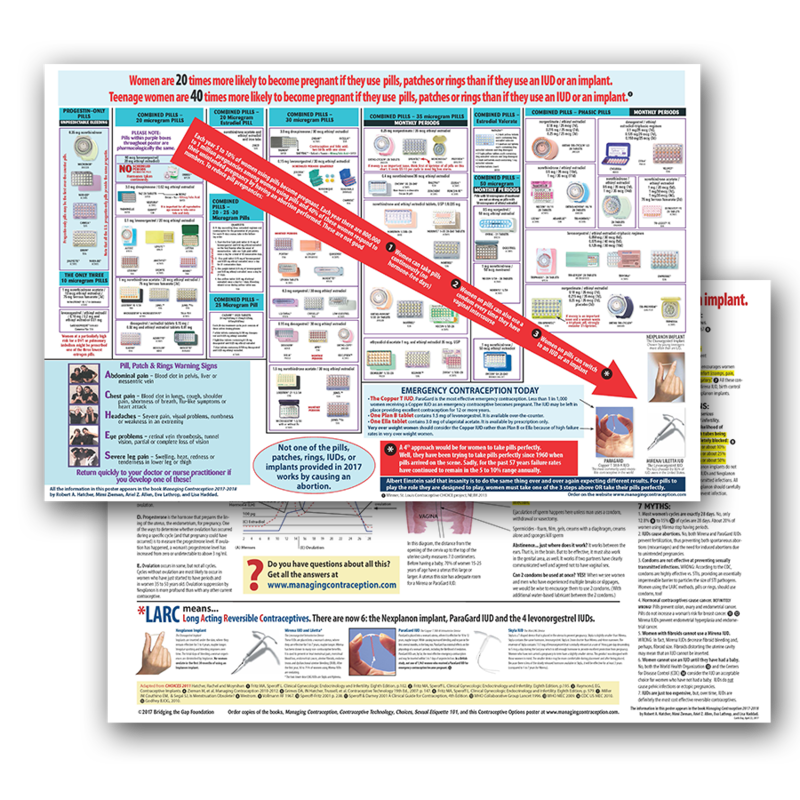 We have a collection of infographics available as PDF’s for you to download for free. Just click the link below to visit our store and view all available files. Search our archives to find the answer to most of your questions. Visit our Q&A section to read and search previous questions. Use our resources to get accurate answers to your questions!